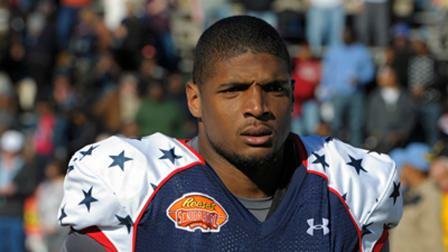 I would personally like to initiate a new member of the Homo Society Club, NFL prospect and college football star Michael Sam. Prospected to be one of the top pick in the upcoming NFL draft, Michael will make history as the first openly gay professional football player history. I’m sure the homophobes will be upset but they will get over it. Joining the ranks of other gay athletes: wrestler Darren Young, basketball player Jason Collins, and boxer Orlando Cruz, I’m sure that Sam’s talent will overshadow the fact he loves men. I salute you and other gay athletes who continue to break the stereotype. This entry was posted in Strictly 4 The Kidz, Whats The 411? and tagged basketball player, boxer, darren young, football, gay athletes, jason collins, michael sam, nfl, orlando cruz, stereotypes, wrestler by JimmieValentino. Bookmark the permalink.